For a long time now I’ve been trying to figure out why the live action superhero movies produced by Warner Brothers/DC Comics are so dour, so dark and so depressing. Technically they’re great looking movies and I have no problem with the acting, which is often excellent. And they make money, no doubt about that. But for me they don’t have the same thrill I get when I watch the animated movies. And for my money the finest superhero movies Warner Brothers/DC Comics are doing are not the live action but the animated ones. There’s “Batman: Mask of The Phantasm” which I consider the best Batman movie made to date. WB/DC is banging its collective head bloody against a brick wall trying to make a live action Justice League movie when the animation guys already have made the two best Justice League movies to date: “Justice League: The New Frontier” and “Justice League: Doom.” What else? There’s “Batman: Gotham Knights” “Green Lantern: First Flight” “Justice League: Crisis On Two Earths” “Batman: Year One” “Superman vs. The Elite.” And “The Dark Knight Returns” all of which I recommend wholeheartedly. Sure, they go into dark and dangerous waters emotionally occasionally and some of them may be a little too much for younger viewers. But they are so much more in tune with the spirit of these characters I’ve grown up reading about and love so much. In the animated DC Universe, the superheroes embrace their destiny as such and deal with it. In the live action movies, DC superheroes seem to be ashamed of being superheroes and spent most of their time trying to be reclusive and not accept the destiny they’ve inherited. Which roundaboutly brings me to ALL-STAR SUPERMAN. I recently sat down to watch it again after I watched “Man of Steel” for the second time and I just wanted to watch a Superman movie I really enjoyed. I’ve seen “Man of Steel” twice now and have no desire to see it again. I’ve seen ALL-STAR SUPERMAN three times now and I no doubt will see it three more times as I enjoy watching it a lot more. Even though it’s a movie where Superman makes the ultimate sacrifice to save Earth and his beloved friends, it’s one of the most uplifting endings in any superhero movie because that’s what Superman does. 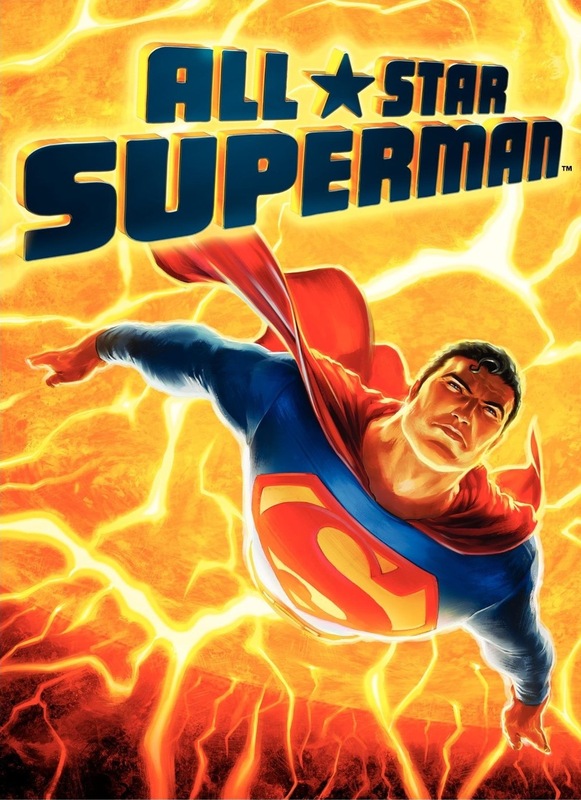 ALL-STAR SUPERMAN stays true to the spirit of Superman in a way that “Man of Steel” doesn’t. While rescuing the crew of a manned spaceship mission to the sun, Superman (James Denton) absorbs an overdose of solar radiation that boosts his superpowers to unreal levels (he can lift 200 quintillion tons one handed now) as well as increasing his intelligence. But his cells are oversaturated with power and ironically, the very thing that gives him his powers is now killing him. Superman resolves to spend whatever time he has left coming to terms with some unresolved issues in his life. Two of those issues are the complicated relationships he has with Lois Lane (Christina Hendricks) and Lex Luthor (Anthony LaPaglia) who was the one who manipulated the crisis with the spaceship that exposed Superman to the increased radiation. Lex has been sentenced to death by the World Court and he cannot accept the idea that Superman will continue to live after him. Superman reveals that he’s really Clark Kent to Lois who doesn’t believe it because if Superman really were Clark Kent, she’d have proved it years ago. He gives her a serum synthesized from his own DNA that gives her superpowers for 24 hours as a birthday present and they spend a wonderful day together going dancing in Atlantis and stopping an attack on Metropolis by intelligent dinosaurs living at the Earth’s core. Clark Kent interviews Lex Luthor in Stryker’s Prison in one of the best scenes in the movie as Lex explains his philosophy of the world, himself, Superman and even Clark Kent who is is surprised when Lex admits to liking and even respecting Clark. Their interview is cut short by The Parasite (Michael Gough) breaking out of his cell and going on a rampage, freeing the other prisoners in the process. It’s highly amusing to watch Clark having to keep both himself and Lex out of harm’s way while covertly using his superpowers to do so. 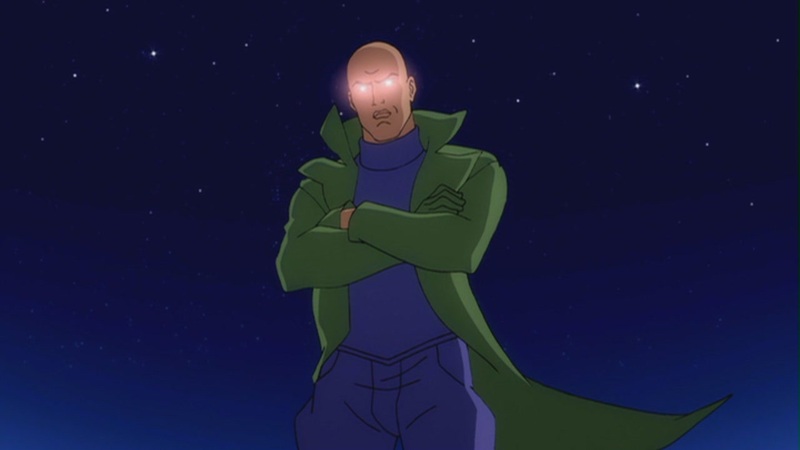 After settling other affairs such as finding a home for the citizens of the bottle city of Kandor, Superman then faces his final challenge as Solaris (Robin Atkin Downes), the computerized tyrant sun turns Earth’s sun blue. Can Superman defeat both Solaris and a now super powered Luthor before his final hour is done? It couldn’t have been easy for Dwyane McDuffie to adapt a twelve issue comic book series into a 76 minute film but that he was able to do so is a fitting testament to his amazing talent as a writer. And wisely he doesn’t try to do so. What we get here is sort of a “greatest hits” of the comic book series. And those who watch this without having read the comic may be confused as to who Atlas and Samson are, where they came from and why they’re here but let’s face it, if you’ve bought into everything else that has happened so far, my advice is just to go with it. And that’s perhaps the strength in the story here: since it’s a self-contained story told outside of the regular Superman continuity (whatever that is these days) the script can have Superman resolve how he feels about his friends, the greatest love of his life and his greatest enemy and thereby Just Go With It. Where lesser writers insist on bringing Superman down to human levels where we can ‘relate’ to him, Dwyane McDuffie’s script finds the humanity in Superman and allows us to relate to him not by diminishing his power but emphasizing and elevating his heart, his compassion and his never ending battle for Truth, Justice and The American Way. The voice actors do their job well. Christina Hendricks is no Dana Delaney (who is pretty much the definitive animated Lois Lane) but for me, she and Anthony LaPaglia are the standouts. James Denton doesn’t really make much of an effort to give Superman and Clark Kent distinctively different voices and that’s a no-no. 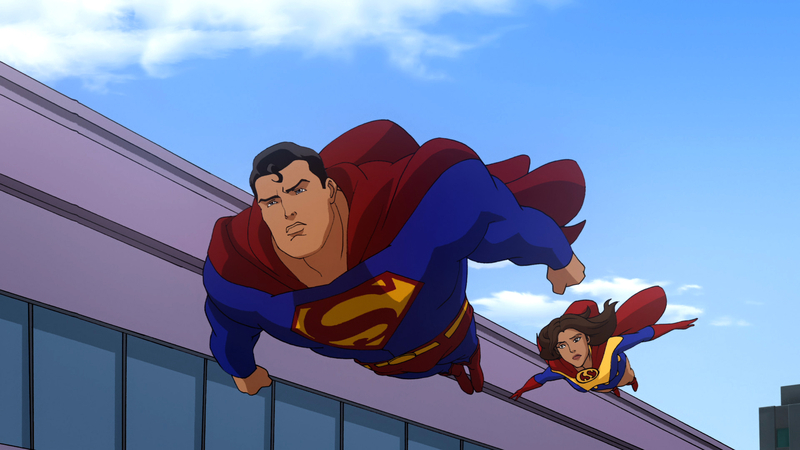 And the animation does a great job of suggesting Quitely’s artwork without imitating it. The music score I thought was rather exceptional as well. So should you see ALL-STAR SUPERMAN? I certainly think so. It’s not the twelve issue comic book series and doesn’t try to be. But what it is a story about Superman’s last days and his final adventure. It’s about him dealing with own mortality and trying to resolve his relationship with two of the most important people in his life: one who loves him and one who hates him. It’s simply a good movie and a great Superman story. Enjoy. I’ve seen this and liked it as well. Though we don’t agree in some areas, I must admit that when it comes to D.C., their animated films outshine their live-actions hands down. In which case, I’ll have to see this!